Just like with everything else in education, classroom décor is cyclical. Right now the trend is to go with bright colors or neutrals. Everyone wants their classrooms to be a replica of their homes - warm, inviting, cozy, and beautiful - truly Pinterest worthy. 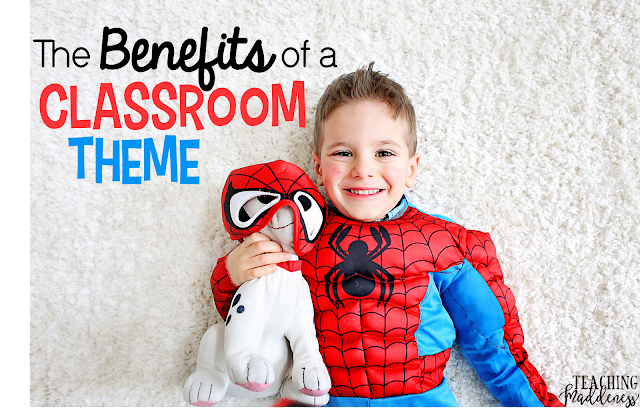 But, I just can't let go of my fun classroom themes and I'm here to tell you why. I get it. I really do. Teachers want to make their classrooms a place they love. As teachers, we spend more time at school many days than we do at home. It should be a place we love! But, first and foremost, it should be a place our kids love! I promise you can find a way to have a balance. 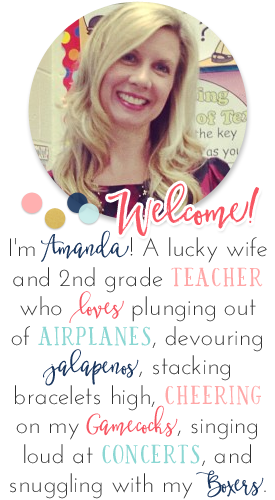 For example, I'm changing my classroom theme to superheroes this year and I'm not a big fan of the cheesy store-bought items - those bright blues, reds, and yellows. To make it a place I will love, I've chosen to use red, navy, and gold as the base colors - colors that are a little more classic. But, my main goal is to make sure my students love the space. I remember the first year I had a monster theme and I had a little girl come to Meet the Teacher. With wide eyes and huge grin on her face, she turned to her mother and asked, "Can we make my bedroom like this?" Y'all! She loved our classroom so much (the instant she walked in it) that she wanted her bedroom like it!!! THAT is priceless. Themes help to give the class an identify and bring everyone together as a team - right from the start! I often hear students talking on the playground and one student will say, "What class are you in?" My student will answer, "Mrs. Madden's." The child will respond, "Oh, are you the monsters?" Children may not know all of the teachers' names, but let me tell you, they know the class themes! At my school each class has a class t-shirt with their mascots on them and students wear them proudly! My students will draw me pictures of monsters, bring me little monster gifts, and even tell me all about a cool monster they saw somewhere. Now, while I don't always want a shelf full of monsters, the theme is an instant connection and that is priceless. I've been teaching the same grade for 19 years now. I know some teachers change grade levels to "switch things up." 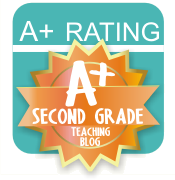 I LOVE second grade and couldn't imagine teaching another grade. However, I do get that little "itch" every few years to make a change. My theme is where I can do that. I don't change it every year - that would be way too pricey! Instead, I keep one theme for 4-5 years. This allows me to build on the theme...add a little to it as the years pass. But, changing it up every few years allows my creativity to shine through. I enjoy digging through Pinterest, party stores, and dollar stores collecting ideas. Not just for decorating ideas, but for student centered learning ideas that integrate our theme. The transformation that happens in my room isn't all for my students, it's also for me. It gives me that extra little spark and excitement for a new adventure and that is priceless, too. I can't reveal too much about my new theme yet because it's still a work in progress, but here are a few of my superhero transformation pics so far. These felt masks will unit my students on the first day of school. We'll take a superhero class pic as we students write about what qualities make them SUPER! Easy and cheap bunting across windows brings our theme colors to the forefront. This is just fabric cut into shapes and attached to the top of my window with red duct tape - no sewing at all! Bulletin board are in progress to match the bunting and tie our room together. Extra fabric is used to make a scrap valance to hang on our classroom door. Accessories are found throughout the room to tie it altogether. Our Super Studio headquarters is just a black foam science trifold that I transformed into a cityscape. We will use it as our "recording studio" for iPad recordings. It will block out distractions and when the light is "on," the rest of the class will know to use whisper voices because a recording is in progress. Check back in a few weeks to see the full classroom reveal and to watch the magic begin! Fun, child-centered classroom themes may not be for everyone, but if you've been on the fence, I encourage you to jump in and give it a try! Often, teachers don't jump in because of the cost factor. But, go ahead and decide to keep the same theme for several years, at least, knowing that you can build on it. If you already have a theme in your classroom, think about what it is and if it is for you or for your students. If your theme is your favorite college team or your favorite color, it may not really be inclusive to all of your students. Make your classroom a place you love, but also a place your students are excited to come to each and every day - even before they know you! 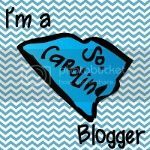 If you're on the hunt for classroom décor for your theme or are looking for a new theme, check out the themes in my shop. I've updated almost every single theme this summer! Each theme contains over 40 resources, including editable newsletters and Open House slideshows. Whatever your theme, or non-theme, I hope you have the most magical year yet! I am doing s super hero theme in my 2nd grade classroom this year as well and I am loving all of your ideas! Do you have any ideas for a read aloud to go with the writing activity on what makes the students super? Thanks!